This entry was posted in Uncategorized on April 21, 2015 by Mike Nash. Mobile CRM – Get it Now, Free! 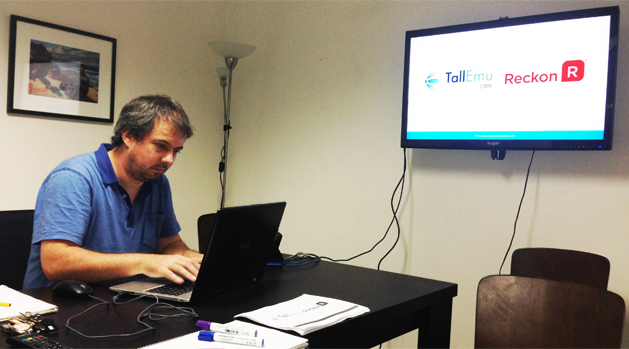 Tall Emu Mobile CRM will be released on 20th May and is free of charge to existing customers*. View data in a concise format, manage and create activities, track position by GPS and have everything and sorted by distance from your location. You can even get driving directions between appointments! 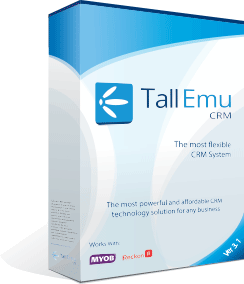 This is linked LIVE to your Tall Emu CRM. Remember – we link with Reckon, MYOB, EXO so our mobile CRM gives you financials while mobile so you know the true status of a client before you walk into a meeting. Some people want a little, some people want a lot – rather than offering a one-size fits all solution we’ve created more flexibility in our product options and have created a new pricing structure to go along with it. Existing Customers with valid Subscription/Software assurance still receive your agreed pricing. When you understand that every part of your business can be automated, measured and managed – or if that sounds like what you’d like your business to be then you are moving into a software space usually requiring an expensive ERP systems. The cost here are usually in 6 figures to get started, and come with immense disruption. We are introducing you to our Mini ERP – it’s an ERP platform that connects to your existing accounting system to minimise disruption and cost, and maximise ROI . Call us for more information if you want to reduce the overhead and resources to your business operation and increase visibility and control. Tall Emu has powerful email marketing facilities, but if your message isn’t delivered elegantly will your clients get the message? We can create you re-useable email templates like this one to send newsletters to your clients every month, please contact us for pricing. In the modern world many forget the importance of personal contact. We recently had the pleasure of visiting several clients in regional Victoria where we discussed how we could help their business, customise CRM, ERP, and the mobile application to suit those client needs as well as identify training requirements. If you think your business could benefit from an on-site consultation let us know, and we will arrange a visit to your area. Inbox 360 has been cooking for a long time, and it’s finally ready for release. Contact support to arrange your update! * Subject to valid subscription or paid up software assurance. Installation charges apply if you do not have a support agreement.